The HyperKewl Fire Retardant Evaporative Cooling Sport Vest is the frontline in the fight against Heat Stress. This lightweight vest uses Patented Hyperkewl Farbic to deliver Super Effective Cooling to all key parts of the body's core. 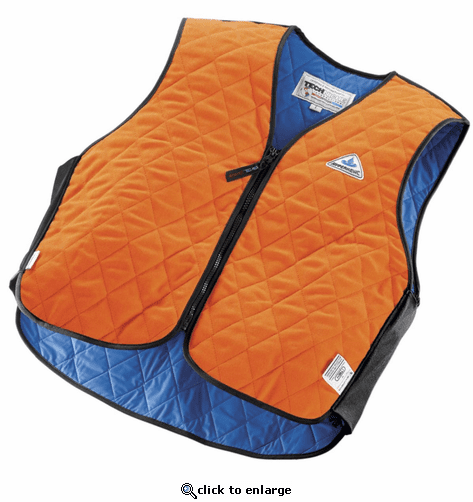 The Lightweight vest can be activated with as little as a 2-3 minute soak and will offer active cooling for 5-10 hours. The Water Resistant innter liner keeps the wearer dry while being cooled. Simple VNeck closure works for a wide variety of people and jobs. TechNiche HyperKewl Products are great to Help You Stay Cool and Combat Heat Stress. TechNiche has the solutions you need to beat the heat while at work, rest and play. 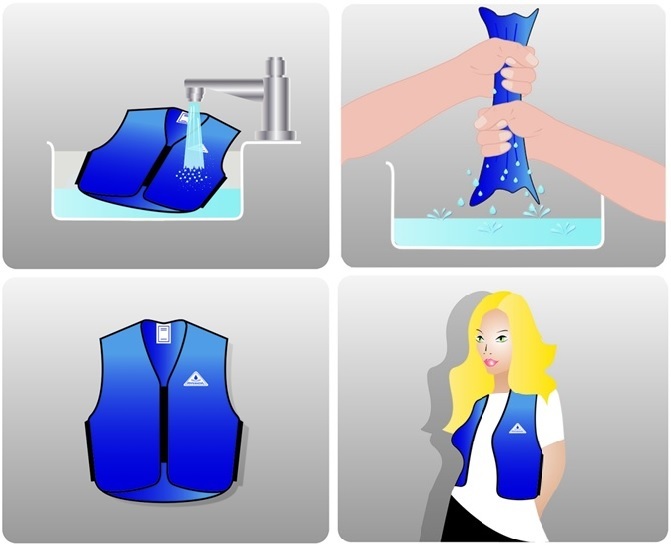 TechNiche's Evaporative Cooling Vests provide 5-10 hours of cooling relief per 2-3 minute soaking. They are lightweight, and durable. 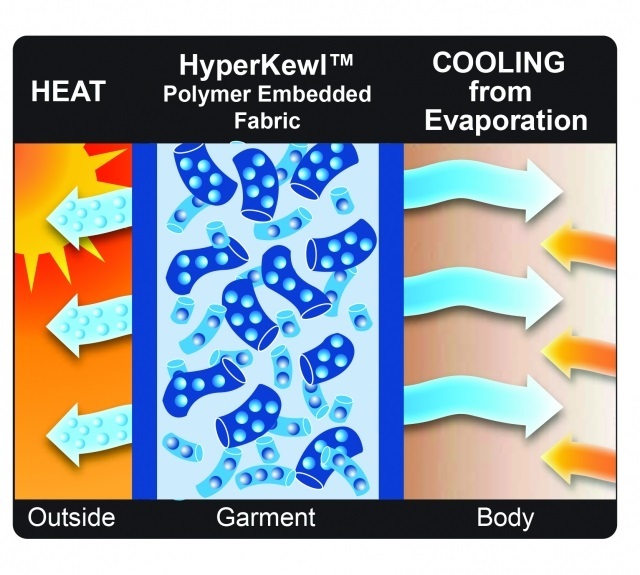 This simple and effective technology works by combining water with our HyperKewl Fabric to create garments that gradually release water through evaporation to keep you cool, but comfortable. Typical applications include personal cooling, outdoor safety, industrial safety, construction, emergency services, military, outdoor recreation, athletics, motorcycling and equine.